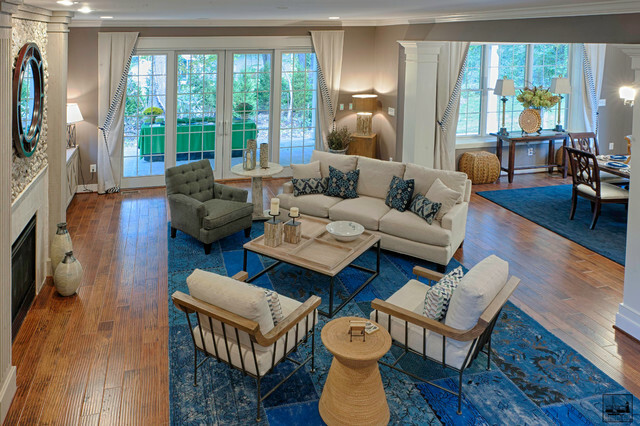 Over view of the Living Room space at the Maryland green designer Show Home designed by Gina fitzsimmons ASID. Window treatments - Where did you get these window treatments? I love them! where is the round side table from?